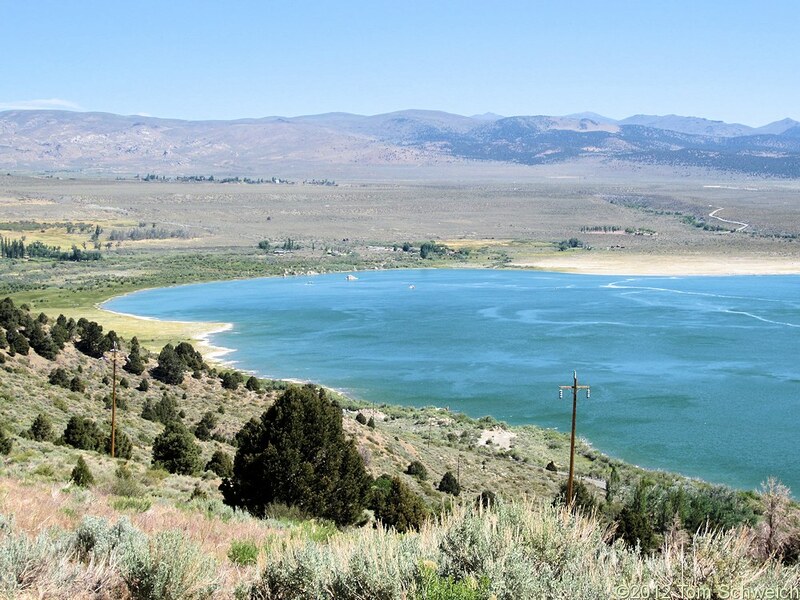 Photo: The Northwest Shore of Mono Lake. Eastern Mojave Vegetation The Northwest Shore of Mono Lake. Mono Lake County Park is in the left middleground, and Mill Creek in right middleground. Field Notes: 18 Jun 2012. A Checklist Flora of the Mono Lake Basin, Mono County, California and Mineral County, Nevada. : n.w. shore.